5 minutes of work will get you a cheaper, yummy version of this convenience mix, and you get to control the ingredients and the cost! Make a few batches at once to store in your pantry or freezer for the rest of the fall and winter! I have found that the convenience mixes in the store are getting more and more expensive. I have been using this recipe that I found in a family cookbook for several years. Label and store in pantry or freezer. 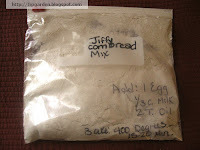 this is great, we don't have corn bread mix here, but we grab it when we hit the states, bunny will love this! What? No Cornbread mix? Well, you're better off making your own anyway! Let me know what everyone thinks of it! When I was in Arizona I stopped at a restaurant in Scottsdale that served a very delicious cornbread. This isn't for everyday use, but it does make some delicious bread. I add in a can of diced green chilies, sometimes 2 of the small cans. I also add in a stick of softened butter, I know it's a lot, but for those special occasions it's delicious. Sometimes we'll also add in fresh corn off the cob. 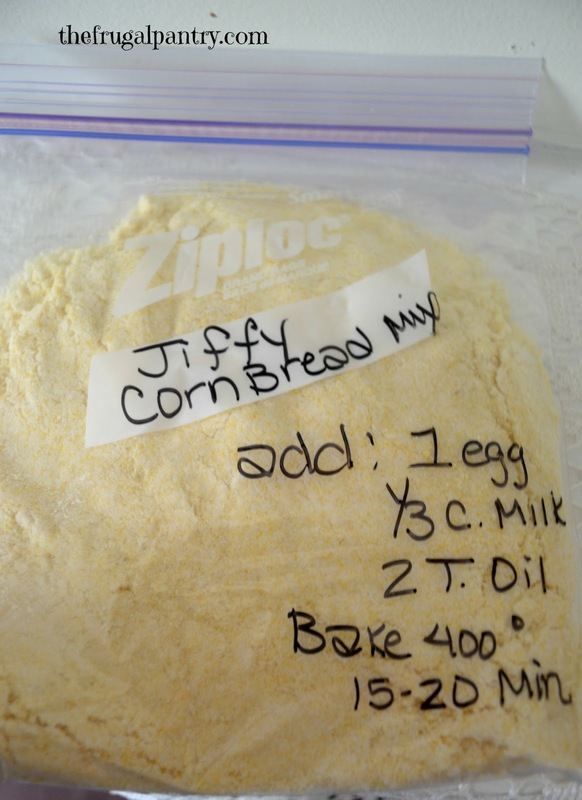 Corn bread can be very basic and delicious or very decadent and delicious! Yum! I love the additions! I bake mine in a cast iron skillet and cut into wedges! your additions would be great to dunk the wedge into some chili! Great idea to make a few at a time! Thats what I do, a few at a time, and keep on the pantry shelf! Great recipe! Popped by via the barn hop! Can't wait to come back for more posts...Hope you have a lovely week!! Thanks Michele! I"m glad you found me, welcome! What size pan would you bake this in the oven in? Approx. 6 muffin cups or an 8x8 square pan. Turned out WONDERFUL. So glad to have stumbled across this. 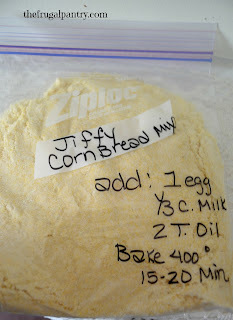 My husband recently rediscovered his love of corn muffins , and we had started buying the Jiffy. I feel way better about eating these! !